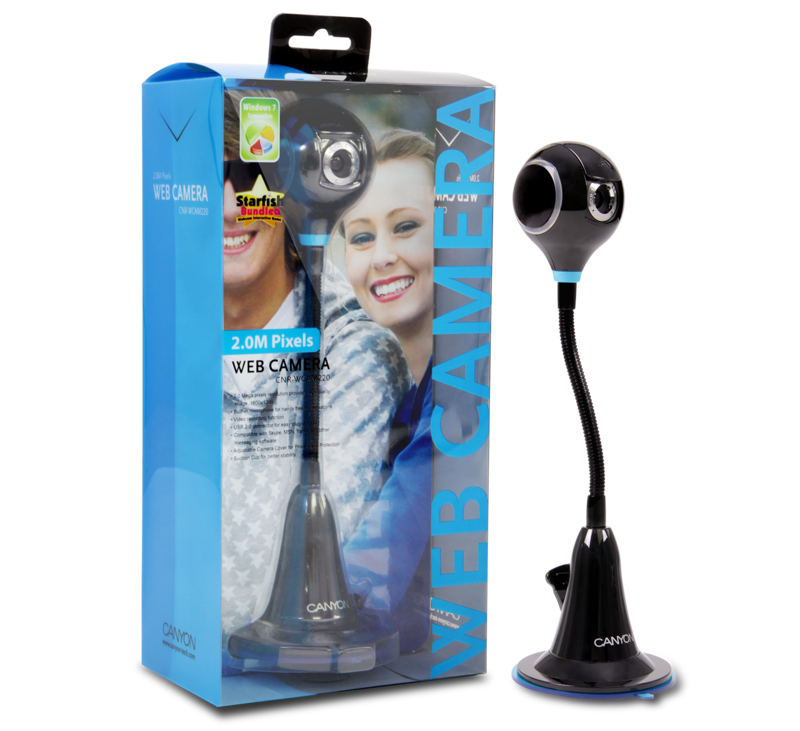 The CNR-WCAM220 is a stand camera featuring a built-in microphone, and it is perfect for your online communications. It also protects your privacy when offline, thanks to its adjustable camera cover. This webcam also offers a 2.0 Megapixel resolution and up to 5.0 Megapixel by software enhancement, as well as a 5-layer glass lens and a viewing angle of 70 degrees for higher image and video quality. 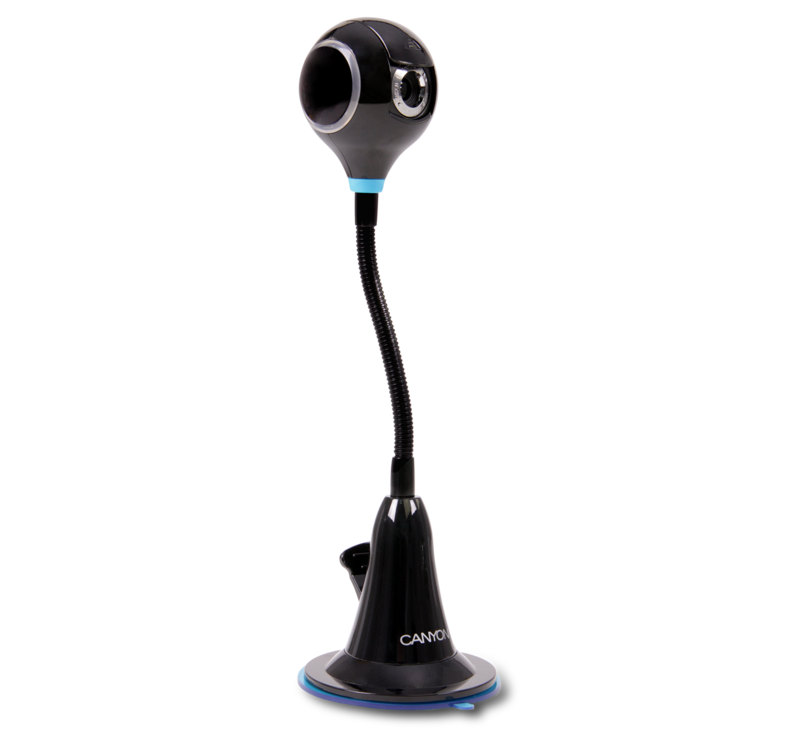 The webcam has flexible 9.8 inch stand is very convenient and brings the webcam to the eye-level. It also features a face tracking software for optimized size and positioning of your face. The suction cup at the base ensures a stable position on virtually any surface. The CNR-WCAM220 offers StarFish, which is a fun, interactive gaming software. This webcam is compatible with Windows 7/XP/Vista and the major instant messaging programs like MSN or Skype.